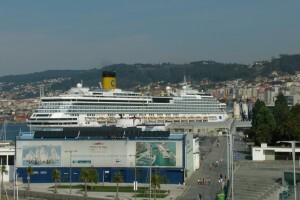 We offer specialty private or small group tours from the port of Vigo(see here our special tours: www.vigo.easpaintours.com) where we are based. As well we offer tours in other ports of Spain and Portugal like: A Coruña, Bilbao, Santander, Barcelona, Alicante, Valencia, Motril, Malaga, Cadiz, Lisbon and Porto… see here some of our shore excursions… www.euroadventures.net/tours-themes/private-day-tours if you can’t find a tour that is suited for you then contact us for a customized shore excursion. Our Tours are based around the historic sites, landscape & nature, small back-roads & towns, etc… with a strong emphasis on enjoying the food & wine of the regions visited. We have been offering tours for over 14 years and EATour Specialist is a Registered and Fully Bonded Travel Agent License Number XG-504 within Spain.